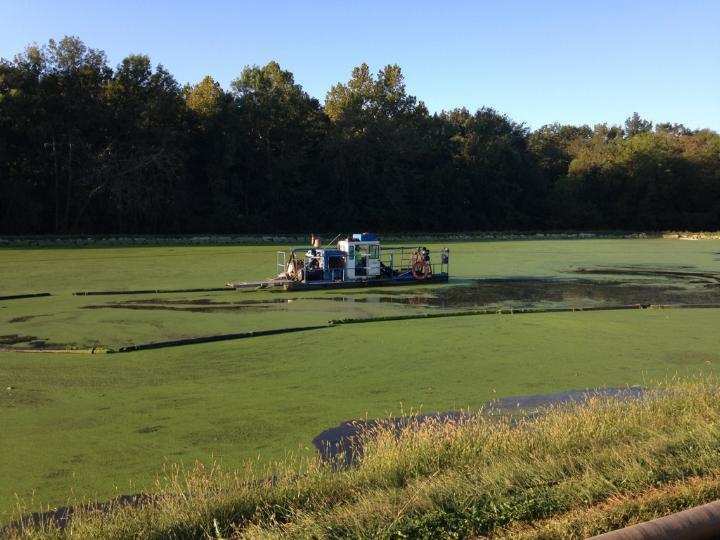 Titpon, MO Equalization Basin Dredging - Nutri-Ject Systems, Inc. The city of Tipton, Missouri lost a significant amount of capacity in their equalization basin due to a large buildup of biosolids. They hired Nutri-Ject Systems, Inc. to assess the basin and remove the accumulated biosolids. 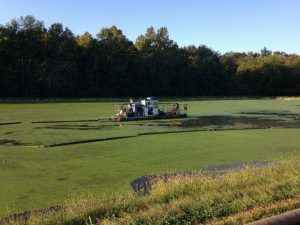 Nutri-Ject Systems was able to bring a dredge on site and remove over 2 million gallons of biosolids from the lagoon without disrupting day to day operations. This freed up an estimated 5 million gallons of additional storage capacity in the equalization basin. Nutri-Ject Systems completed this work in about four weeks’ time by trucking the material from the plant and land applying on a nearby farm field. The farmer received one hundred pounds of nitrogen per acre and sixty five pounds of phosphorous per acre at no cost to him, which will greatly help his crops over the next year.